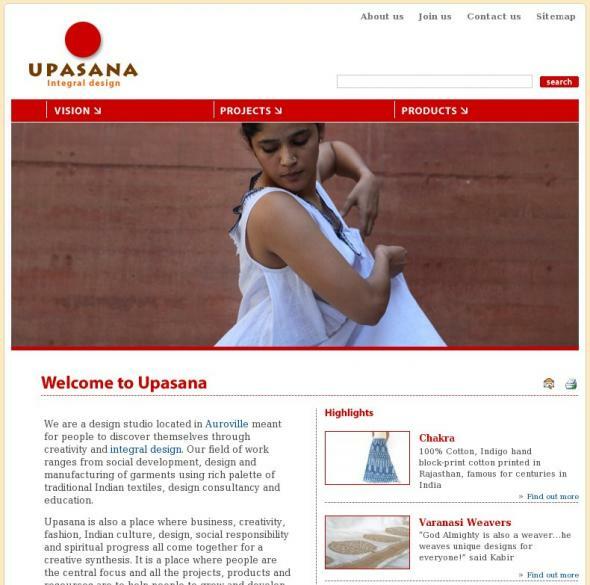 Upasana was born in 1997, originally with one table under a tree, as a garment design and manufacturing unit. 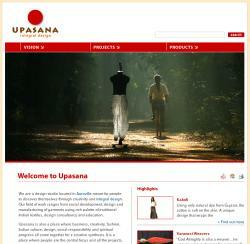 Being born within the unique context of Auroville, the teachings of Sri Aurobindo and the Mother have been inspiration at Upasana. -> Nodewords: for setting different Meta Tags for each page. and many more useful modules. And lots of custom PHP coding.